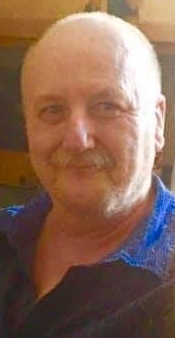 Obituary for James Anthony "Darrell" McDermaid | Adams Funeral Home Ltd.
Darrell McDermaid, husband of the late Donna (Lynch) McDermaid of Miramichi, passed away at the Miramichi Regional Hospital on Monday evening, March 25, 2019 at the of 62. Born in Barrie, ON, on January 25, 1957, he was the son of Shirley Forrest and the late James McDermaid. He was a Correctional Officer at the Youth Prison for many years. He is survived by his daughter: Kim Trevors (Stephen) of Glenwood; two sons: Troy McDermaid (Melissa) of Moncton and Joel McDermaid (Nicki) of P.E.I; mother: Shirley Forrest of Miramichi; six grandchildren: James, Darian, Regan, Madison, Abigail and Lily; three sisters: Trina Russell of Halifax, NS, Dana Murphy (Edward) of Saint John and Tanya Dickson (Kevin) of Napan; two brothers: Robert Forrest of Moncton and Rick McDermaid of Ontario; beloved cats Tom, Ben and Bella. He was predeceased by his father and wife, Donna (Lynch) McDermaid, step-father Bobby Forrest. Visitation was held at Adams Funeral Home Ltd., 140 King St., Miramichi on Thursday from 2-4 & 7-9 pm. Mass of Christian Burial was celebrated at St. Michael’s Basilica, Miramichi on Friday, March 29, 2019 at 11 am with Father Arockia Dass Chinnappan as Celebrant. Music for the service was provided by Mr. David Bunnell and St. Michael’s Choir and the hymns were “Amazing Grace”, “Only in God”, “In the Sight of the Angels”, “In My Father’s House” and “Peace is Flowing like a River”. The scripture readings was read by Lynn Anderson and Tammy Gallant and the Prayers of the Faithful was done by Pam Beers Sturgeon. The eulogy was given by Tara Ross Robinson. Honorary pallbearers were Karen Gillis, Edison Jardine, Barb & Wilson Trevors, David Marsh and Mabel Stewart. Pallbearers were Mark Ralston, Chris Curran, Aaron Landry, Shawn Howe, Colin Campbell, Alan Hilchie, Doug Matchett and Chris Bowie. A large group of Correctional Officers sat as a body and formed a guard of honor before and after the service. Interment will be held in Riverside Cemetery later in the spring.